Looking to improve your mental health and wellbeing in South West Edinburgh? 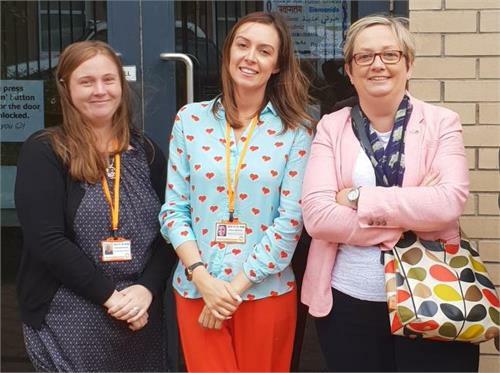 Joanna Cherry QC MP visited Health in Mind’s Wellbeing Gateway on 1 August 2018. The Wellbeing Gateway provides adults living in South West Edinburgh the chance to speak privately with a Health in Mind staff member about what’s happening in their lives and to discuss services and activities within the community that may help to further improve their mental health and wellbeing. ‘Those who attend the Wellbeing Gateway will leave with a greater understanding of their mental health and wellbeing needs and an increased knowledge of community support and services’ said Amanda Hunter, Wellbeing Gateway Development Worker. The Wellbeing Gateway is open every Wednesday from 9.30am to 11.30am at Tynecastle Community Wing, McLeod Street, EH11 2ND. Find further information here or call 0131 243 0137.